With all of the fantastic berries that are in season, you've probably got some extra hanging around the house. 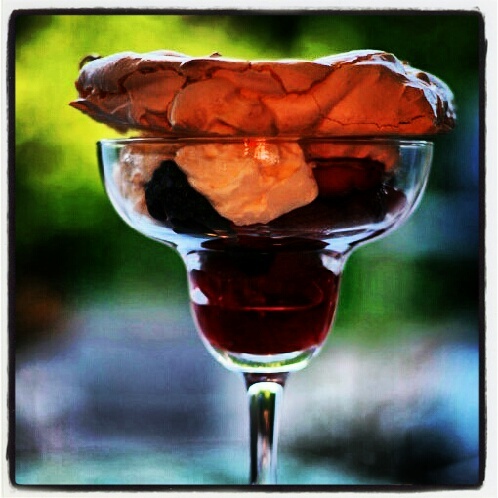 This pavlova dessert makes good use of them! 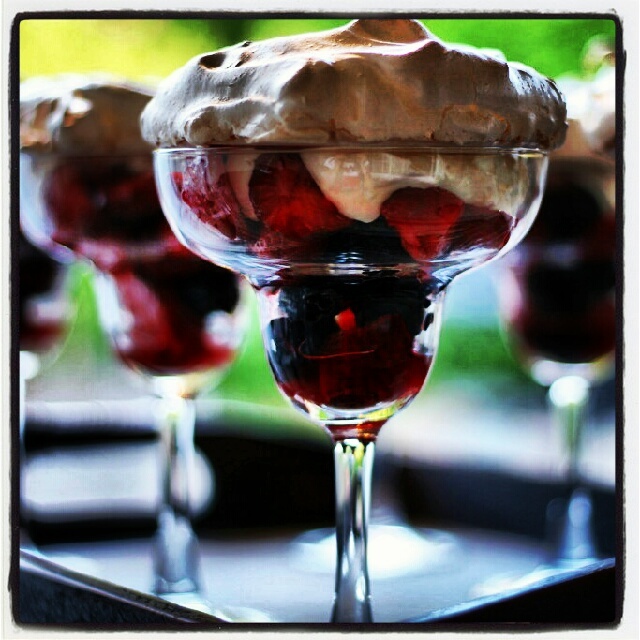 Pavlovas are usually meringue topped with cream and then berries. I turned it over and made them individual. Here's how I did it! 1. Pre-heat oven to 300 degrees F (150 degrees C). Line a baking sheet with parchment paper. Draw 4 circles the size of your serving glass on the parchment paper. I used margarita glasses, so my circles were margarita glass sized. 2. In a large bowl, beat egg whites until stiff but not dry. Gradually add in the sugar, 1 tablespoon at a time, beating well after each addition. Beat until thick and glossy. 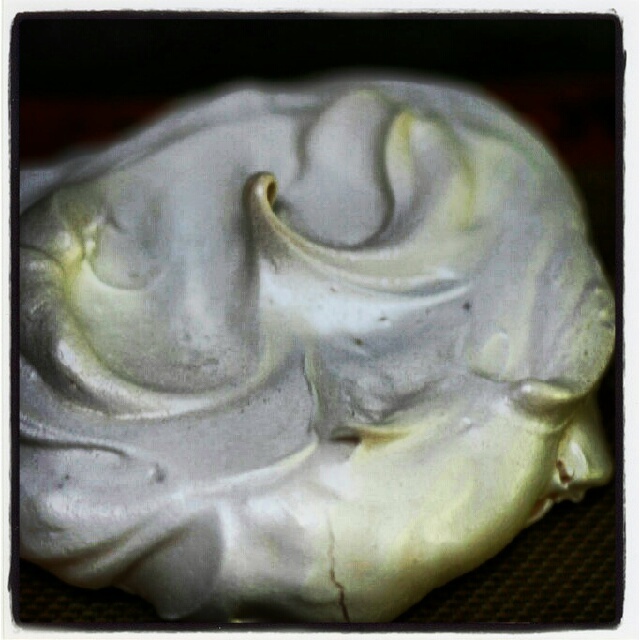 Overbeaten egg whites lose volume and deflate when folded into other ingredients. Be absolutely sure not a particle of grease or egg yolk gets into the whites. Gently fold in vanilla extract, lemon juice and cornstarch. 3. Spoon mixture inside the circles drawn on the parchment paper. Working from the center, spread mixture toward the outside edge, building edge slightly. This should leave a slight depression in the center. 5. Mix the berries with 1/4 cup sugar and the cranberry curd. In a small bowl beat heavy cream until stiff peaks form; sweeten if desired and set aside. 6. Divide the berries between the serving glasses. Top with whipped cream. Remove the paper, and place one meringue on each glass. This is an easy dessert, but looks elegant and like you've spent a lot of time. Great for dinner guests! What is your favorite dessert for guests? how elegant! those look so delicious! I love all the berries and the curd.. looks delicious. Thanks for sharing this on foodie friday.